Squeeze the big orange star to learn about animals, numbers and objects. Then throw, shake, bounce or roll the soft music ball to hear fun melodies fun sounds and more in Greek! 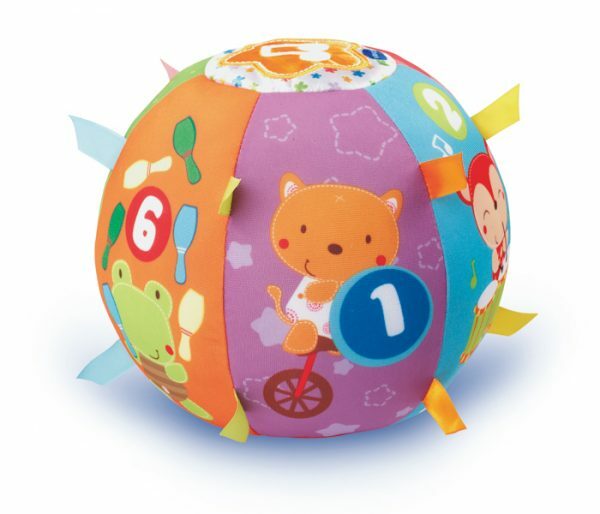 The variety of ball textures will lead the baby to exploration, while the bright colors and joyful characters will spark even more the curiosity of your little one. By shaking or throwing the ball the child will develop both his motor skills and his Greek linguistic skills by listening to fun phrases and sounds. Includes 5 songs in Greek to sing along with your child and 15 entertaining melodies.